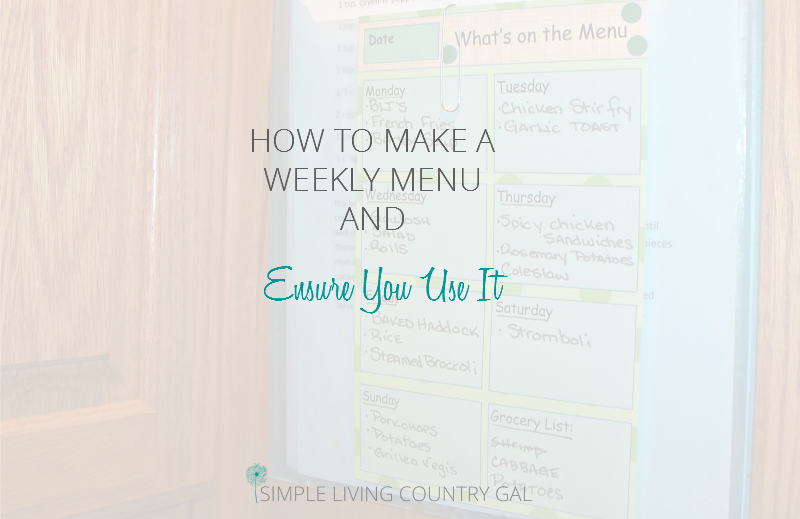 How To Create A Weekly Menu And Ensure You Remember To Use It! Learning how to create a weekly menu or even a monthly menu is nothing new, but if you have yet to jump on this time and money-saving bandwagon I have a step by step guide just for you. When you have a weekly menu some pretty amazing things begin to happen. The dinner time stress that hits us in the face like clockwork no longer happens. You aren’t that crazy mom staring blanking into your refrigerator hoping that a super simple and prepared meal jumps out at you. I am thinking about that zombie look. You know, that blank empty stare that hits our face when we have no ideas and zero energy to deal? Ya, that one right there. Funny to think that a single piece of paper can remove that forever. Consider that your cape and learning how to create a weekly menu will become your superpower. How awesome does that sound my frazzled mom? I bet pretty darn good, so without further adu….let’s dive in! I have been using a weekly menu for years now and I have to tell you no other organizational tip has saved me more time and our household more money. Choosing a meal plan (and sticking with it) guarantees you will have the ingredients on hand when you need them. Another perk to a simple meal plan is no last-minute dinner stress. There is nothing worse than trying to figure out what to make that can be ready in the next 10 minutes. More often than not you end up making a desperate call to your significant other to grab takeout on the way home…yet again. I’ve been there, more times than my battered budget cares to admit. So get ready to change your hectic evenings into one of peace and tranquility….cue the harps, please! How to create a weekly menu and make sure you actually use it! Step #1 Write up your menu. While this is pretty self-explanatory I do have a few tips to help you along. It is important to make sure you schedule this task each and every week. I am talking get this on your to-do list and set a reminder on your phone so you do not forget. I like to suggest Sundays for this task since most folks plan out their weeks on Sunday. Take a seat, grab some coffee and your planner and get going. But wait….do NOT forget your calendar. That is the secret sauce behind a successful weekly meal plan. 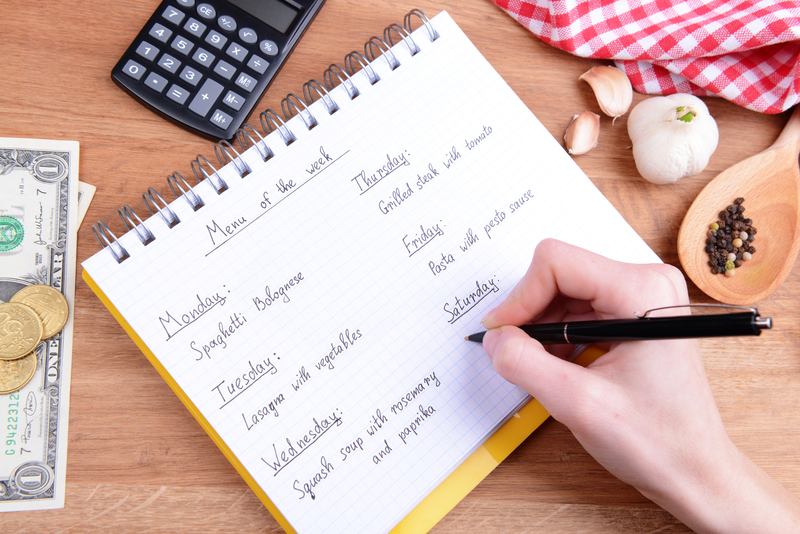 Take a piece of paper and write the days of the week leaving enough space for your menu. If you have a list of family favs in your head use that to fill in this first week. We want this super simple to start. As your comfort grows with your menu so will your bank of recipes making this task less mundane and more fun! Ninja tip: Make sure you have your calendar handy so you can see how your afternoons are scheduled. If it’s going to be hectic on Wednesday, that is the perfect day to plan a crockpot meal. Make sure the meals match the business so this isn’t just a suggestion but a time-saving stress eliminating tool. As I am choosing my recipes I will check ingredients to make sure I have them on hand. If not a quick addition is made to my shopping list and I will either find a way to substitute that ingredient or I will just come up with something new to make. Step #2 Check your refrigerator and your freezer. 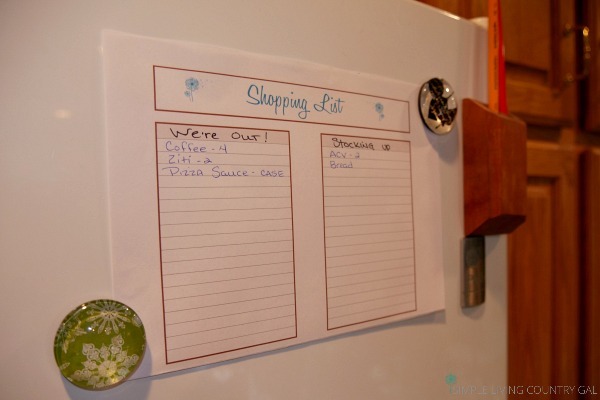 Another way to make a weekly menu is to base it off of what you have in the house. I like to do a quick look through of perishable food items I have to make sure they get used up before they spoil. I can’t tell you how many tomatoes I have had to give to the chickens because I forgot I had them. With a weekly menu in place, you ensure all food gets used up and enjoyed before it expires. Step #3 Put your weekly menu where you will see it. I cannot stress enough how important this step is. If you can’t find your weekly menu what good will it do? I like to hang mine right next to my oven. 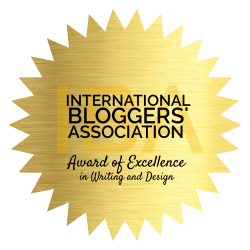 (on a pretty printable, of course!) This way it is always there to remind me that I have a game plan and to ensure that I stick to it. Each evening as I am cleaning up after dinner I will do a quick check of my menu to see if any food needs taken from the freezer and defrosted for the next day. In the morning I will then do any prep work like chopping veggies or grabbing ingredients. If I have a really crazy night ahead, I may even set the table. The more you can do when you are not stressed the less you have to do when you are. Step #4 Pull or print out any recipes needed for the week. I have a clear pocket envelope taped to the side of my oven where I will see it at all times. This visual reminder is a game changer in the beginning. Out of sight is out of mind, remember, so keep your menu front and center. Inside of the pocket, I will keep any recipes I need for the weekly meal plan ahead. If the recipe is on my computer and not printed out, I simply put an “*” next to that item. This visual reminder tells me that the recipe needed is on my laptop and I do not have to waste time looking for it in my recipe binder. Step #5 Keep a list of go-to recipes for substitutions. Sometimes I wake up and decide I don’t want pasta for dinner but would rather use the grill and eat outside. That is why it’s nice to have a few extra recipes in your pocket envelope just in case you want to make a change. Pizza, tacos, hobo packets are all cheap and easy meal options in a pinch. Step #6 List items you just ran out of. If you just used up the last of your brown sugar for Tuesday’s dinner, jot it down in the Grocery List section of your weekly menu. You will love this handy little tip when you are making your shopping list up. Step #7 Set up a reminder. When I first started using a menu I cannot tell you how many times I would forget to look at it in the morning to make sure I had things ready for that night. I would just go about my day and at 5 o’clock I would look at my menu only to find I forgot to take the meat out of the freezer! This was just so frustrating. So, how can we fix this so we prevent it from happening? I used my phone to remind me. (you can use your Fitbit too, see how here!) I set up an alarm on my phone to go off every morning at 8 am. This was my nudge to check my menu and make sure I had things out and thawing for dinner that night. And that’s all there is to it! I can’t tell you how stress-free dinner time will be once you create a weekly menu. 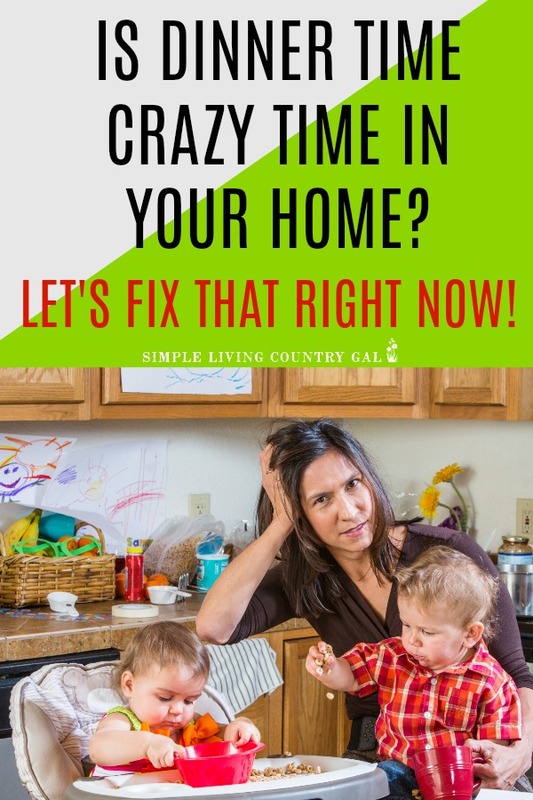 If you are like we are, then dinner time is a crazy time in your home and anything you can find that will eliminate that has to be a good thing! Now, if the kids want to know what’s for dinner, they just read the meal plan and issue any complaints in writing! What tips do you have to create a weekly menu that works in your home? Please comment below, I would love to hear from you! I used to be so great at getting dinner ready and on the table – it was always yummy and well thought out… but lately I’ve been pretty busy with other things and dinner is the LAST thing on my mind. I am needing to get serious about menu planning, and this will be so helpful! Thank you!! Thanks for sharing this, Tracy! I’ve had good intentions about meal planning, but always get derailed. I especially like using the clear pocket envelope to hold the recipes for the week. So simple, but brilliant!! 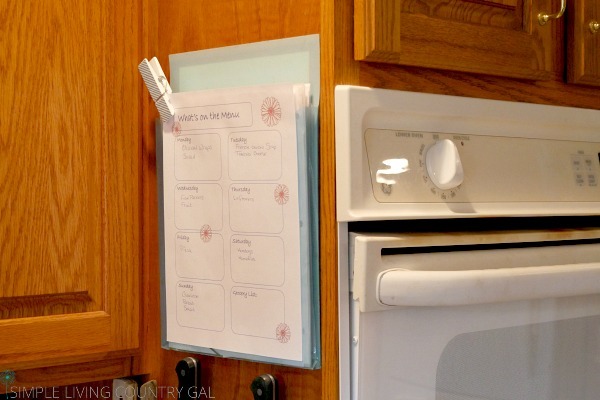 I glad you like it, it’s funny really how something so simple as a clear pocket on the side of a cabinet can make it easier to follow a weekly menu. You have no excuses now cookie! You are very welcome, Lisa! I hope it helps! Since we are mostly broke, I tend to make dinner that includes leftovers. How can I plan around that? Leftovers are my jam, Jennifer!! Omelet Tuesday is a great way to use up produce and meat before it goes bad. Deep dish pizza is perfect for meatloaf, pasta, or chicken leftovers. Casseroles are another great way to use up rice leftovers. requested the free meal plan.. followed the link in the email and all I find are MANY ads… there is no link to download the meal plan as promised… waste of my time.